The issue of voluntary assisted dying continues to be a hot topic across Australia and around the world. Our Spring 2018 Newsletter aims to bring everyone up-to-date with the latest news; however, there have been important developments in Western Australian which we will post as a separate news item in the coming days. The new look newsletter includes a tribute to our long standing Executive Officer, Gabrielle Brown, who many of you knew well, who left Dying with Dignity NSW in August. It covers the story of Perth GP, Dr Alida Lancee, who featured in a 60 Minutes report in September and also the recent campaign by our Vice President, Shayne Higson, in the Wentworth by-election in October. There is also lots of news from overseas. We are encouraged by further progress in New Zealand and several states in America; however, events in California and South Africa demonstrate that the road towards passage of compassionate laws to allow people to choose how they die, has many obstacles. 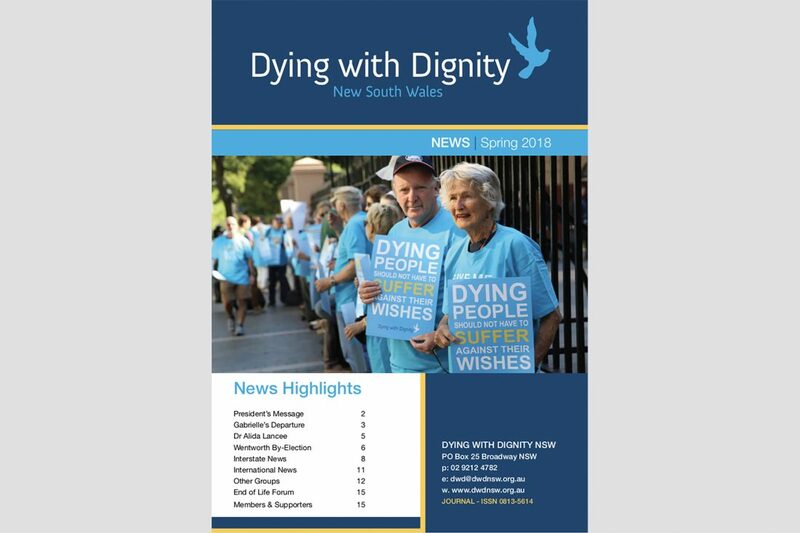 This newsletter also includes our regular reports from our branches on the Mid North Coast and the Central Coast as well as from the Christians Supporting Choice for Voluntary Euthanasia. 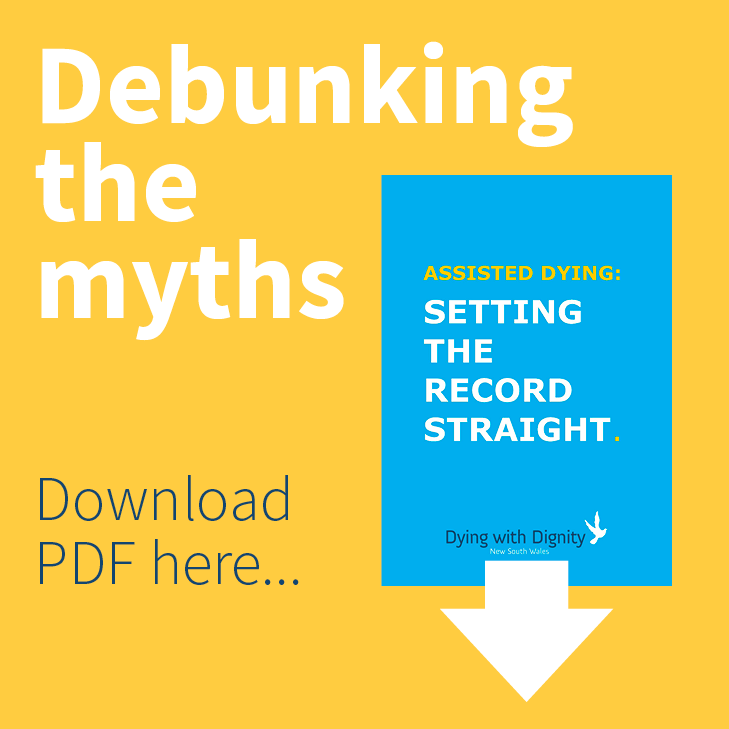 Since the publication of this newsletter, we have held the very successful forum ‘The Truth About End of Life Choices’. We look forward to covering the forum in detail in our next edition.